It is not looking good for Tiger Woods in 2014. Woods is off to the worst start of his career. He tied for 80th at the Farmers Insurance Open, tie for 41st at the Dubai Desert Classic, then withdrew from last week’s Honda. Then yesterday Woods shot a 6-over-par 78 at Doral’s Blue Monster course to tumble out of contention at the WGC-Cadillac Championship and drop into a tie for 25th, nine strokes behind winner Patrick Reed (by the way, congrats to Reed on his third win on the PGA Tour). I know that the back issues that caused Tiger Woods to withdraw from a tournament a week ago flared again Sunday, but I think this is more of a mental thing with Woods. I’ve already mentioned his pathetic finishes to start the 2014 golf season. For just the eighth time in his career, Woods failed to make a birdie during a round on the PGA Tour. The combination of those terrible finishes and failure to make birdies in a round sounds more than a damn back problem to me. 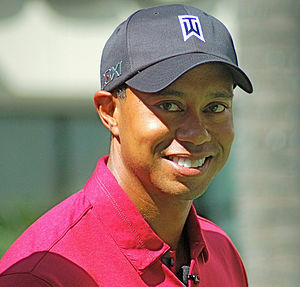 If I were Woods, I would take some time off before participating in the Masters next month. If his back is giving him problems, he should rest his back so he could get his swing back. I think the rest would pay him more dividends mentally. No golfer worth his expensive golf clubs would want to go into Augusta, GA in a funk. So memo to Tiger: take a break, rest your back, and get your mind right. Your pursuit of Jack Nicklaus’ major wins record depends on it.